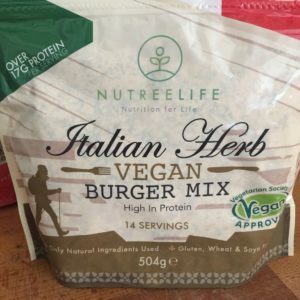 I’m always super excited to try new vegan products so when Nutree Life got in touch and said would I like to sample some of their vegan burgers, I jumped at the chance. If you check out my Instagram feed, burgers feature strongly along with chocolate and cakes! You make up the burgers simply by adding water then bake, grill or fry your burgers, sausages or ‘meat’ balls in less than 10 minutes. With a shelf life of over 18 months, simply reseal the bag and keep it in a cool and dark place to reuse. They are high in protein and fibre, designed to keep you fuller for longer. 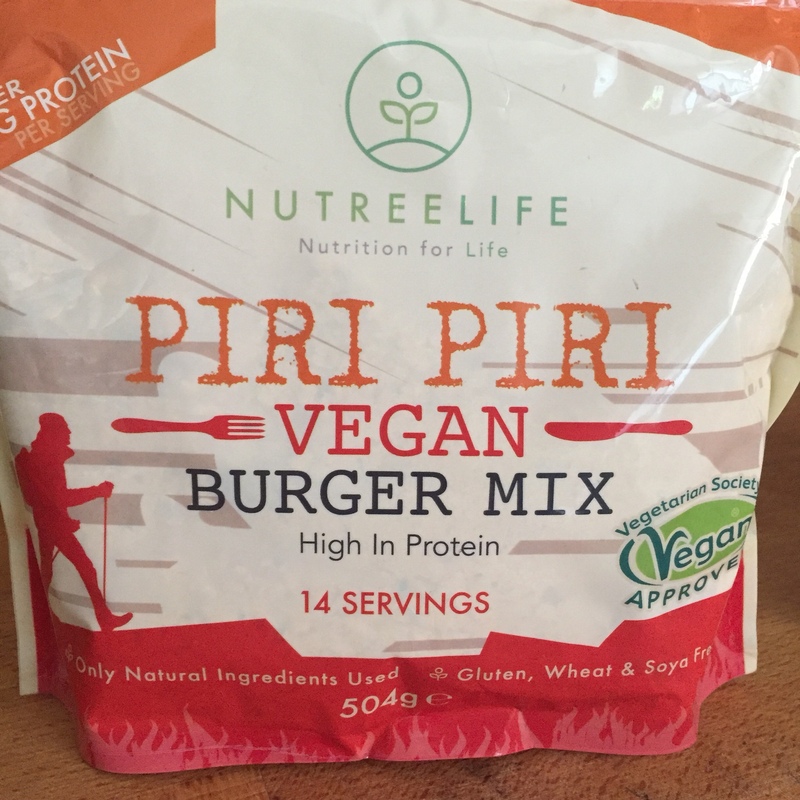 Each bag contains 14 servings and they’re suitable for both vegans and vegetarians, and perfect for flexitarians who are looking to reduce their meat consumption. Normal price is £11.99 per packet which works out as 86p per burger but they’re currently on offer at £9.99 (making each burger just 72p each). Well they were definitely a hit with all the family. 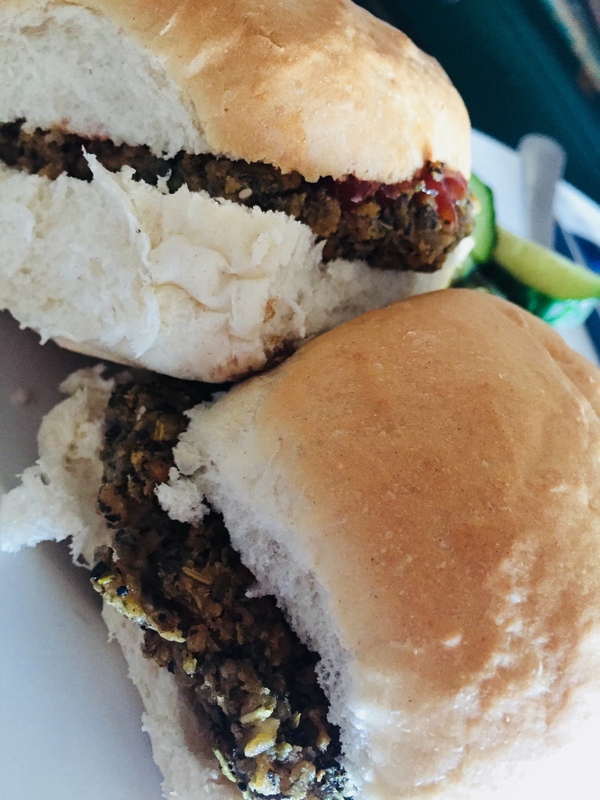 You can see we had them with salad (pic at the top), in fluffy burger rolls below and I made smaller ones to go with a vegan fry up further down. I really liked the Italian Herb ones but I REALLY REALLY liked the spicy Piri Piri ones. They were totally scrummy, hot and fiesty and just something new and tasty really. I mean we’re all looking for that right. 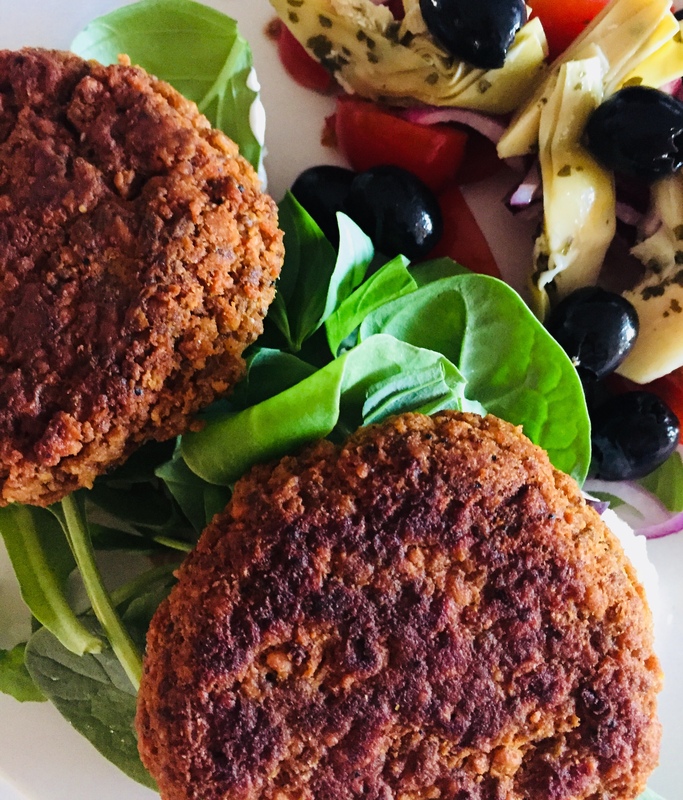 Unlike some of the ‘meaty’ vegan burgers taking over the market, these ones are wholefoody and nutty and earthy and well…..they just feel like a healthy option, especially if you bake tor grill them. Healthy but really delicious too. Perfect with salad and vegan mayo or tomato ketchup or relish. 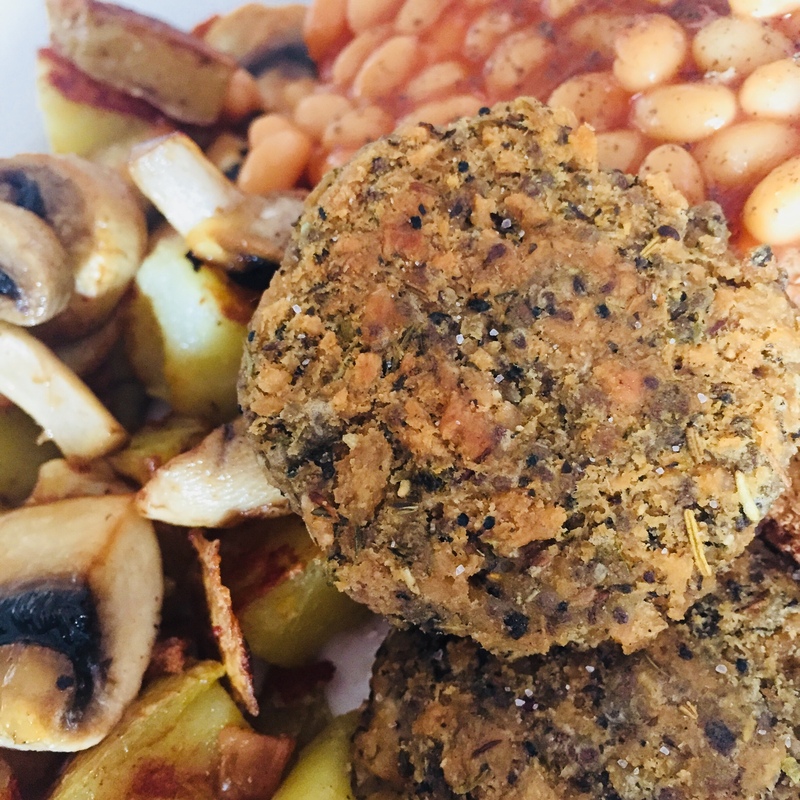 Or even with your veggie cooked breakfast like I did below. 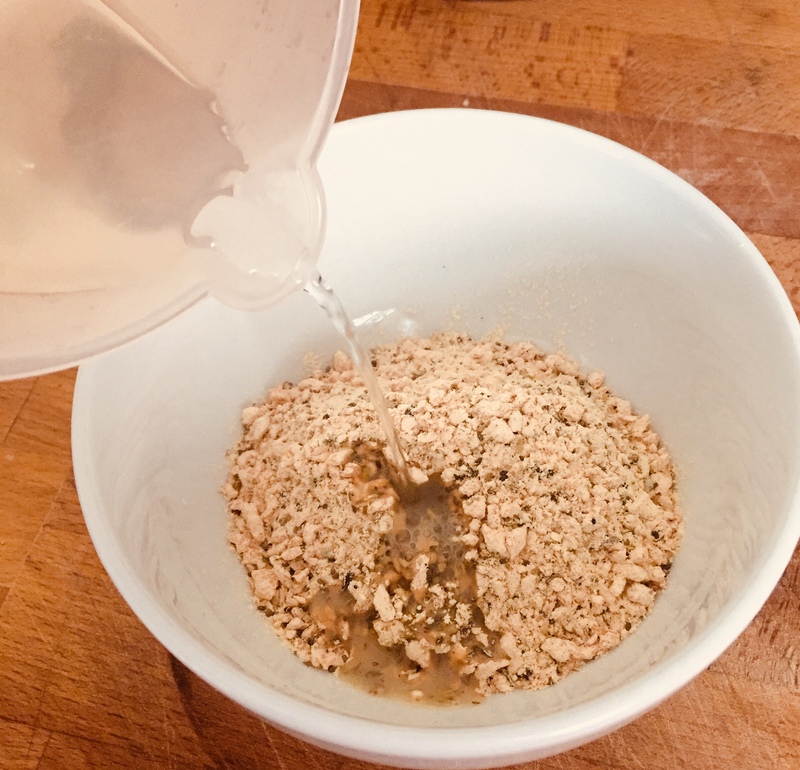 They remind me of the lovely vegetarian burger mix that I used to get from the health food shop about thirty years ago when I was a veggie teenager and there were not even veggie products in the supermarkets! We’ve almost finished the packets so will be ordering more very soon using one of the many discount vouchers on the Nutree Life website. There’s an offer at the moment to get £5 off your next order but be quick as it is limited to 500 people. There’s also a free delivery with orders over £20 offer. And there’s more than just burgers on the website – there’s protein bars, protein snacks and powders. Go check ’em out. If you’re hungry for some money saving and cash creating ideas – please join the Super Savvy Vegan Facebook group. I’m also on twitter and Instagram. 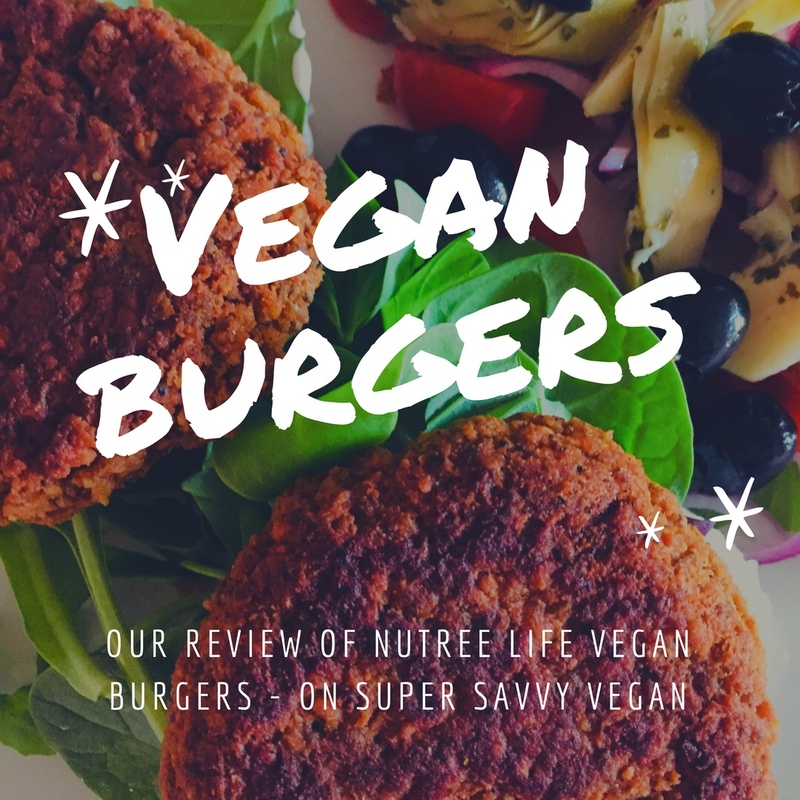 And please do get in touch if you’d like me to review your vegan goodies on here or you can give a discount to my awesome Super Savvy Vegan Followers! Next post: What to grow in August?